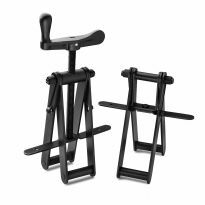 New and improved clamp provides uniform pressure on chairs, boxes, frames and a wide variety of oddly shaped, hard-to-clamp objects. We've redesigned our ratcheting band clamp with a longer, more durable band and a new ratcheting handle that is permanently attached so it can't be misplaced. In addition, The strap is stitched to the ratchet post and the improved clamp mechanism further reduces the chance of slippage. Use it in any situation where even inward pressure must be exerted to prevent joining surfaces from sliding against each other: chair frames, mitered frames, coopered barrels, multi-sided objects and more. 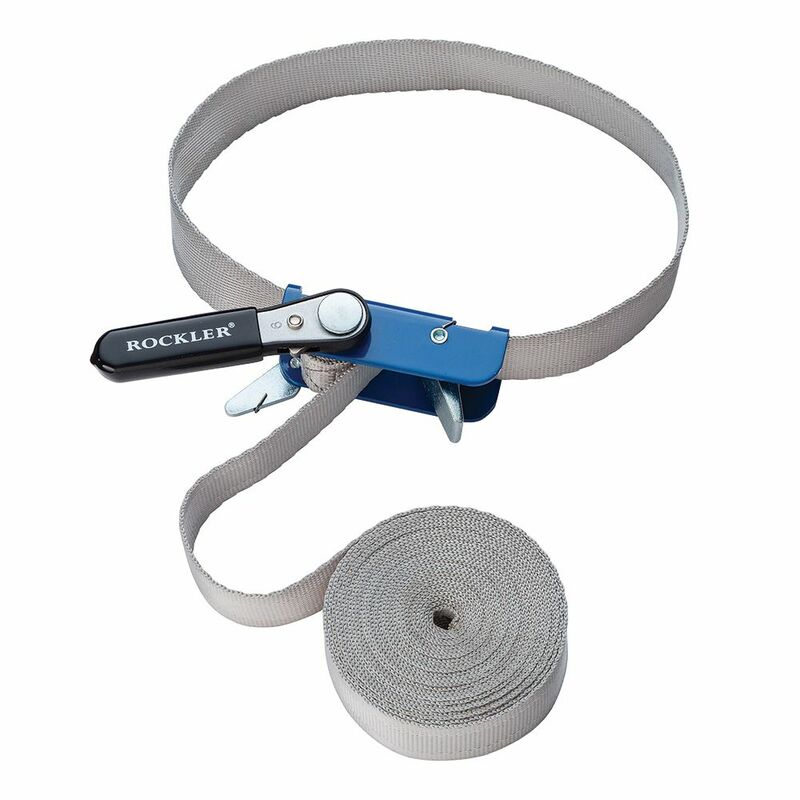 NOT for use as a tie-down or for securing loads. For clamping purposes only. Quick and easy great for building segmented drums. 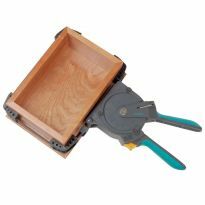 This tool provides a fast easy way to clamp up miter joints on a box. It is the best solution I found. Once I got the strap under the release lever it performed as needed. I've wanted to try this for odd clamping jobs. I like the handle being attached to the clamp. I am looking at buying more. I am building a kayak and used 4 of these clamps to hold the hull and deck tightly together while I fiberglassed the inside. Good clamp. Easy to use. I bought this for segment turning and it works great . Awesome strap clamp! Easy to use. Great clamp. Really helps holding boxes while drying. This clamp is much more useful than those that tighter with wrench or screwdriver (Pony/Jorgensen). Just make sure it is aligned so the lever is able to swing the proper way. I have one of these and will get, at least, one other. Appreciate the new length. I have many of the older 10' lengths and hand to double up for longer items to clamp. I now can use only one. They work great! Very sturdy, unlike some other similar clamps. Great for boxes and irregular shapes. 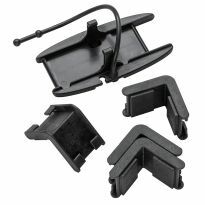 These are very handy clamps for boxes, drawers or oddly shaped projects requiring even pressure on all surfaces or corners. When assembling chairlegs with side and cross braces, they are very handy. 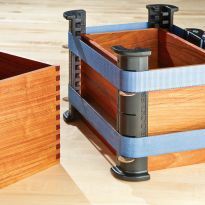 When assembling boxes or drawers with box joints, they are indispensable. Even though they are a simple design and not extremely heavy construction, they are more than adequate for the anoint of pressure they apply. 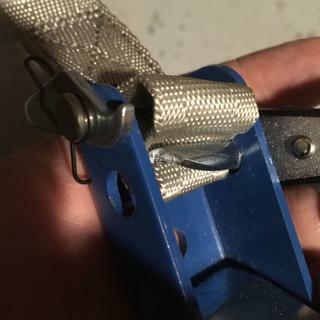 Since it uses pressure to lock the strap, I recommend listening the strap slightly using the ratchet before pushing on the spring lever to remove the clamp after assembly/gluing. This will help save the strap. The straps are plenty long, which is great. It's always best to have too much than too little. I might buy a second set and cut the straps to make them more convenient for smaller projects. Only used this item once but it worked perfectly. Made of great quality materials. Highly recommended for all woodworkers. Does what it is supposed to do, even with oddly configured work pieces. 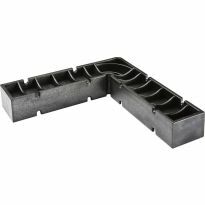 This 1" x 15 ' Band Clamp is a terrific product and easy to use for clamping boxes or other shaped projects. I use two at a time for best results. The only things I will add are corner braces to hold the bands secure at the corners/separations. 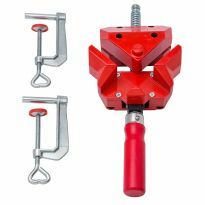 I love the ratchet mechanism that allows for a rapid and controlled clamping of the joints.There are several optional products to assist in providing a very good clamping force in the joints. Ok - I have six of these clamps and they actually work very well. No there are no instructions as others have indicated but they are easy to learn to use. I have broken two as the steel in the cams are not the greatest but just be careful not to over tighten. Some people say hard to tighten as the strap builds up on the tightening reel. Hello people - release the gear and pull the previouly rolled up line so the reel is empty. Play with them just a bit and you’ll quickly see how it works. I rate them a 4 overall but a 1 on the quality of the steel in the intetnal cam. Probably cheap Chinese steel. I have glued up 100 or more decorative boxes with these a the cauls. Give it a try. A little hard for me to work with: however, it accomplished what I wanted for making pedestals. The price was OK.
First clamp went on fine, second broke within 2 minutes of trying to use (must've gotten a defective one). Rockler Customer Service was fantastic and sent me a replacement quickly. No issues with the others so far. Buckle sheered off when tightening. For the money, it does the job. Needed a strap type clamp and this was the right price at the right time. Clamp band was a bit difficult to tighten. The ratchet was difficult to adjust. Unclear,well actually no instructions. This product is pitiful to say the least. The strap bunches up as start to ratchet and then jams. I am really disappointed in this banding clamp. I bought two of these for box projects. One I still have, the other broke pretty quickly. The ratcheting feature on both got stuck often, handle broke off on the one I had to throw away. The metal on the ratchet also mars the work pieces, unless you use something a spacer. I have had much better success using the Dewalt band clamps. The ratcheting arm failed after one use. The basic idea is sound, but the overall size and quality needs to be increased. With a 15 foot strap, you would think it could handle big projects. Not the typical quality I expect from Rockler. I will be returning for a refund. I'm afraid I will break it if I apply a little pressure. Very unhappy with it. I bought several of these band clamps along with the box joint cauls. the handles broke off most of them before I could get adequate pressure on the glue joints. The handle snapped off on the first use. The band tightened to the box but the handle had no resistance and just snapped off. Handle snapped off the first time I used it. I need to be able to clamp 12 sided containers by myself. The strap clamps I have are too cumbersome. Makes putting projects together by yourself easier when there is no one around to assist you. Needed for clamping a triangular end table. Because "the one with the most clamps is the winner!" To repair broken chair leg. To make music boxes for granddaughters. I was in the market for a band clamp and this was on sale at the right time and price. I like the way it's made. For the project I am working on. To clamp a segmented bowl. I am repairing a wooden rocking chair and several dinning room chairs. From reviews this looks like the tool to use. 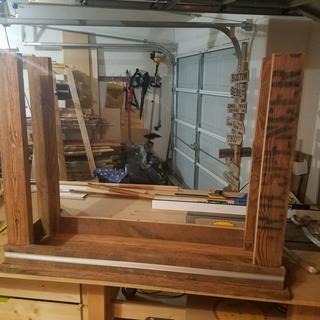 Need to glue up the rounded top of a cabinet. Thinking these will be easier to use than ratchet straps with hooks. We purchased this to fix dining room chairs. 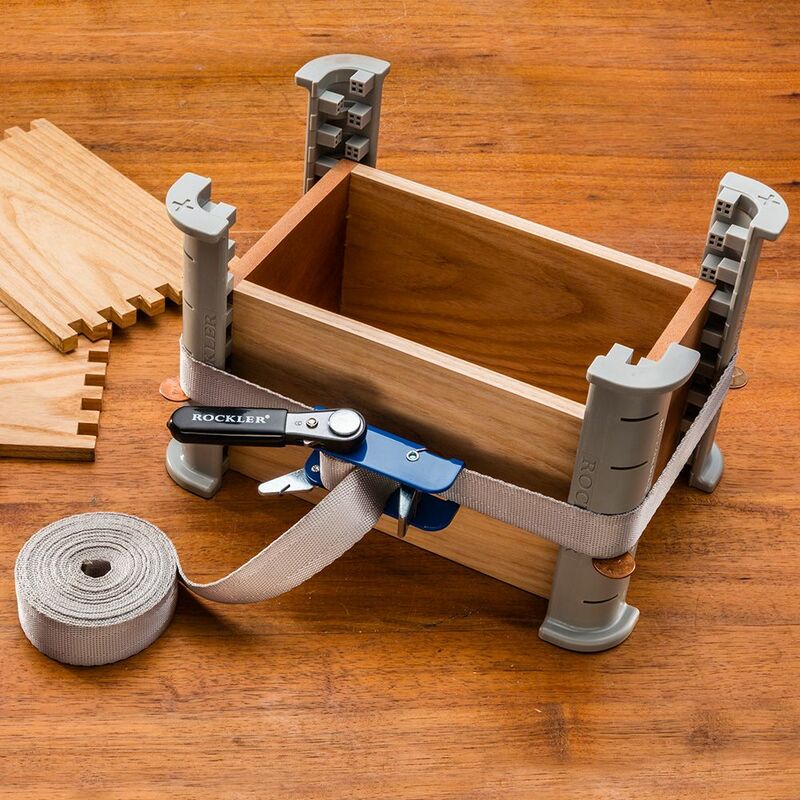 These clamps look like great drawer assembly tools! Already own one of these. Very handy for even pressure around projects. Woodworking tool that is a must for many different applications. A few times in the past it would have been handy to have. It’s on sale, time to buy. To fix great grandmothers dough bowl. Because the corner cauls I ordered earlier did not come with this necessary element for them to be functional. I anticipate using this clamp on an up coming project. Is there a "Quick Release" for this item? (I've used similiar products in the past, and have not found a quick release botton/lever in other band clamps. BEST ANSWER: Yes, the strap is held by a spring lever, which tightens as pressure is applied using the ratchet mechanism. It's very effective. Sos much so that it takes a bit of pressure against the locking lever to free the strap. What I do is used the ratchet to relieve some of the pressure (by slightly tightening and the moving the pawl away from the teeth while letting tension off) before pushing against the locking lever to release the strap. That makes it easier and makes the strap last longer. This clamp is not like some tiedown straps, where you have to "undo" all your ratcheting to get the strap loose. I do a lot of segmenting. I am concerned with the glue getting in the nylon band material. Wash out with hot soapy water? BEST ANSWER: Or place wax paper around the glue areas? Or let it dry and scrape off. How do I thread and use the 1"x15' band clamp? I've never used it and can't find the instructions. There were no instructions so you lost nothing. The photo of the band clamp is exactly how I set up clamps. Thanks for your reply. I unwrapped the entire strap and threaded it as you instructed (and what the picture on the box shows). However, the ratchet handle just spins around in a counter-clockwise direction and doesn't tighten the strap. It makes a ratcheting sound, but it doesn't DO anything. It will only move in one direction so I can't reverse the direction of the handle (as you would normally use a ratcheting tool). The handle quickly hits the object I am trying to clamp and is useless. I don't know if the problem is with the clamp....or with me. It's so frustrating. I may just bring the thing down to my local Home Depot and have someone show me what the problem is. I appreciate very much your response and your trying to help me. Thank you. You have the reversing ratchet handle set in the loosen direction. Move it to the tighten direction and it will work for you. Inset in the handle with the Rockler name on it you will find a lever that rocks from side to side. That is the direction reversal lever and it is set the loosen direction. Move the lever to the opposite side when you want to tighten the strap. I just reread your question and it appears you know about the reversing lever. I use the reversal level to re-position the handle to where it has more room to turn. Tighten a 1/2 turn, reverse and move the handle back, reverse again and loosen the strap another 1/2 turn. It takes a while to do all this but it works. 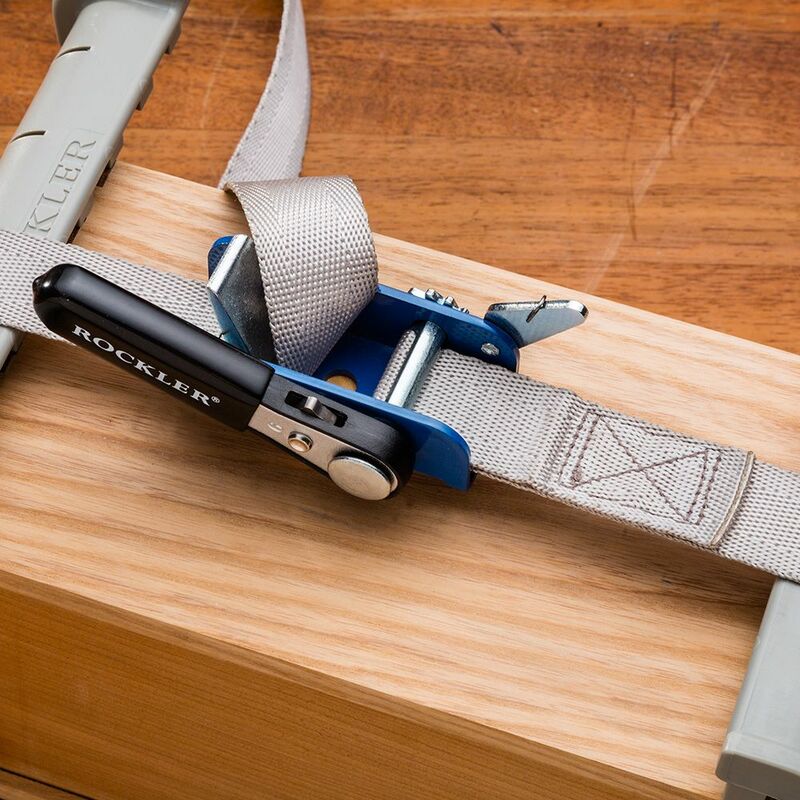 There are better straps available from Bessey that Rockler has available. I did try reversing the lever, 1/2 turn...repeat, but it still does not tighten the strap. I wish I had done more research before buying this at a local hardware store....that no longer exists. A different brand, as you said, may have worked better. I'll see what I can find out from someone at Home Depot...or another hardware store. Thank you so much for your help. Sounds like the strap is slipping under the clamp lever. One of my clamps has that problem so I'm getting some Bessey Variable Angle Strap Clamps from Rockler. I know they will work well as most of my clamps are Bessey. You will not find equivalent clamps at any home store I'm sorry to say. Thanks for answering. "Kenneth" also answered my question...my problem now seems to be the ratchet that won't tighten the strap, even though I've tried reversing the direction of the ratchet handle. It won't DO anything. I am not.sure mine is threaded right .i haven't had a occasion to use it yet. Sorry I can't help you. "Kenneth" answered my question and, after following his instructions, I think it is threaded correctly. But now I can't get the ratchet handle to tighten the strap. I'll take the whole works to Home Depot and ask someone there to demonstrate how to make it work. Good Luck when you attempt to use your clamp. I am trying to glue the top of a round wood table. The top has separated. 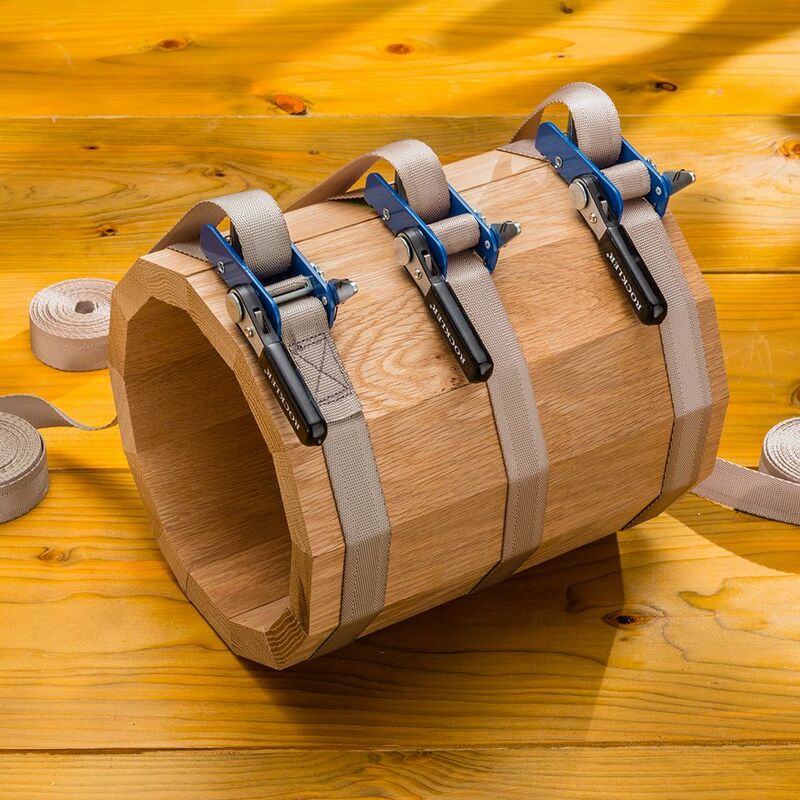 If I use the Rockler 1'' x 15' Band Clamp, how will I prevent marring from the clamp? BEST ANSWER: the band itself won't mar the top, but the ratchet might. I just stick a piece of dense cardboard, carpet chunk, or even a rag under the ratchet. I use a rag or piece of wood or piece of rubber gripping to protect the wood I am clamping. Hope this helps. Is it essential to get the corner cauls kit for square corners? Yes it is. The band will NOT square the corners by itself, it will just tighten them. Will these cauls work on box joints where the fingers protrude? If not, what kind of clamp is available to make the box square? BEST ANSWER: Since the banding is cloth, it could work depending on how far the fingers protrude and how much you wish to damage the banding. 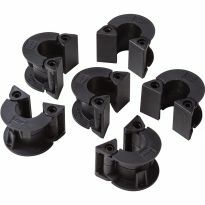 Rockler offers another clamp that might work better (see attached) that gives you a squared corner and would clamp away from the finger joints. I would think you might need 2 per corner to offer a good tight fit while the glue dries. These are designed to accommodate proud fingers and assist in keeping the box square. What kind of tork does this strap have?? BEST ANSWER: Ive been using it to clamp small boxes together. I can clamp them tight enough to leave marks in 1/2” walnut if that helps. I have concerns on the lever braking based on a few of the reviews. Is there any warranty? How many pounds of pressure does this clamp generate? BEST ANSWER: CLAMP DOES NOT COME WITH A GAGE, WORKS LIKE A TIEDOWN STRAP BUT ON A SMALLER SCALE.